Although storytelling has been recognized as an effective instructional strategy for some time, most educators are not informed about how to communicate a story that supports learning—particularly when using digital media. 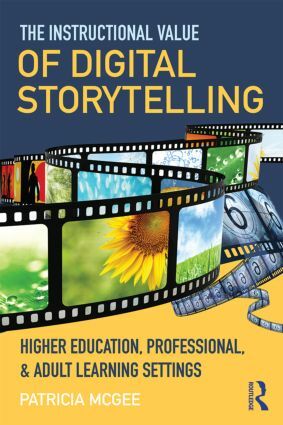 The Instructional Value of Digital Storytelling provides a broad overview of the concepts and traditions of storytelling and prepares professors, workplace trainers, and instructional designers to tell stories through 21st century media platforms, providing the skills critical to communication, lifelong learning, and professional success. Using clear and concise language, The Instructional Value of Digital Storytelling explains how and why storytelling can be used as a contemporary instructional method, particularly through social media, mobile technologies, and knowledge-based systems. Examples from different sectors and disciplines illustrate how and why effective digital stories are designed with learning theory in mind. Applications of storytelling in context are provided for diverse settings within higher education as well as both formal and informal adult learning contexts.